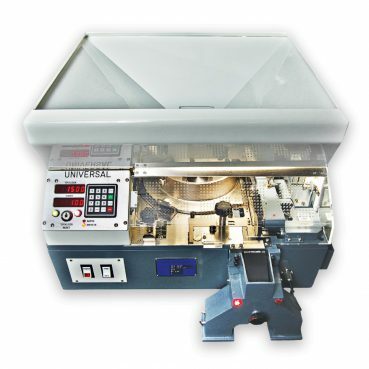 Our Model 360 is a heavy duty high speed coin counting machine ideally suited for high volume users such as banks, transit agencies, CIT’s, mints, and blank suppliers. Designed to count a single denomination at a very high rate of speed with excellent accuracy. 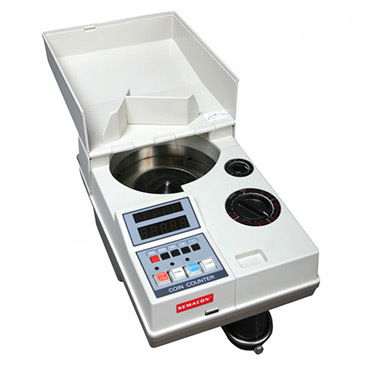 Durable large capacity electric coin counter with bagging, packaging and manual wrapping functions. Batch settings 1 to 9999 for bagging and packaging. Off sort function separates coins by size. Extra large hopper with automatic feeder for larger coin volumes. Best for stationary applications. 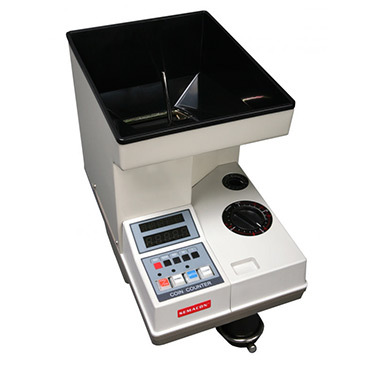 Durable electric coin counter with bagging, packaging and manual wrapping functions. Batch settings 1 to 9999 for bagging, packaging and wrapping. Off sort function separates coins by size. For portable or stationary applications.